The 2nd national challenge has its launch, the 27th of june in the year 2016. Thank to Claudiu Moga and a great help from the newlist group, a magnificent list of 125 climbs is available in this splendid mountaineous country. Clic on the menu "nat-rom-list-125" to see them and eventually begin to claim them. Clic on the map below to have an enlarged mappy overview of them. Hungary had 75 climbs in its list, Romania, with more mountains in the Carpathes, has 125 climbs in its list. If you manage holidays in the region or if you are romanian members, you'll be interested by what follows. Romania includes 9 big topographic regions : 3 mountainous (Occidental, Meridional and Oriental Carpathians – 95 climbs), 4 hilly (the Transylvanian Plateau in the middle of the Carpathians, the Subcarpathian foothills and, in the east, the Moldavian and Dobrogea Plateaus – 30 climbs) and 2 fully flat and ineffective plains. The Meridional Carpathians are the « richest » : 3 high mountain roads at 2000 (or almost) : Transfăgărășan (Balea), Transalpina (Urdele) and Transbucegi. A lot of resorts (Muntele Mic, Straja, Rusu, Paltinis, ...), among which the new road to Pasul Vâlcan and its 2km at 15%. For the tourism, the capital of the ancient Dacian Kingdom (Sarmizegetusa Regia), the Retezat National Park (Râuşor) or the Sohodol gorges. In the west, the biggest climbs lie between 1000 and 1500m, between Beius and Cluj-Napoca : Buscat, Stâna de Vale and Semenic, the Beliș-Fântânele and Drăgan lakes, Padiş plateau or the Ursoia and Vărtop passes. A few touristic climbs : Scărișoara caves, two viewpoints on the Danube (Sfânta Elena and Valea Ponicovei) and Vălişoarei and Turzii gorges. You'll find the steepest sections towards Scărișoara, Feredeu and Călugăra monasteries, and Șiria fortress. In the Eastern Carpathians, many passes from 800 to 1500m, amongst which some unpaved (Predelus, Barcani, Stânișoara, Păltiniş, ...). The steepest sections belong to Rarau and Soveja, the most beautiful landscapes to Bicaz and Sfânta Ana crater lake, and the best design to the Pasul Gutâi hairpins. The list also includes two resorts in Harghita, Slănic-Moldova spa and some lakes (Tarnița, Colibița). 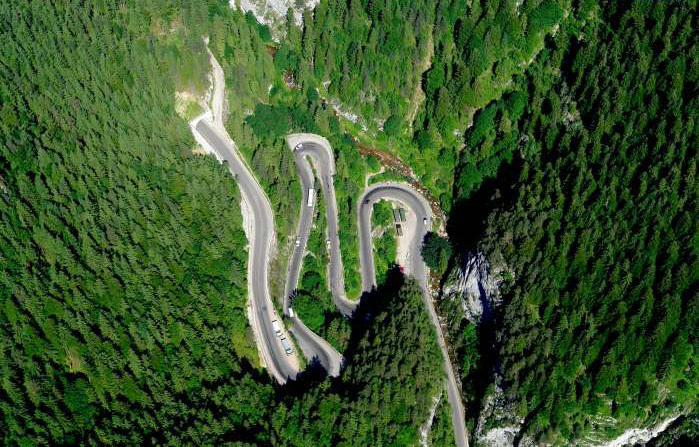 A few climbs are used in the Tour of Szeklerland (Harghita-Băi, Șicas and Ghimeş, Cașin and Calonda passes) or in the Cycling Tour of Romania. 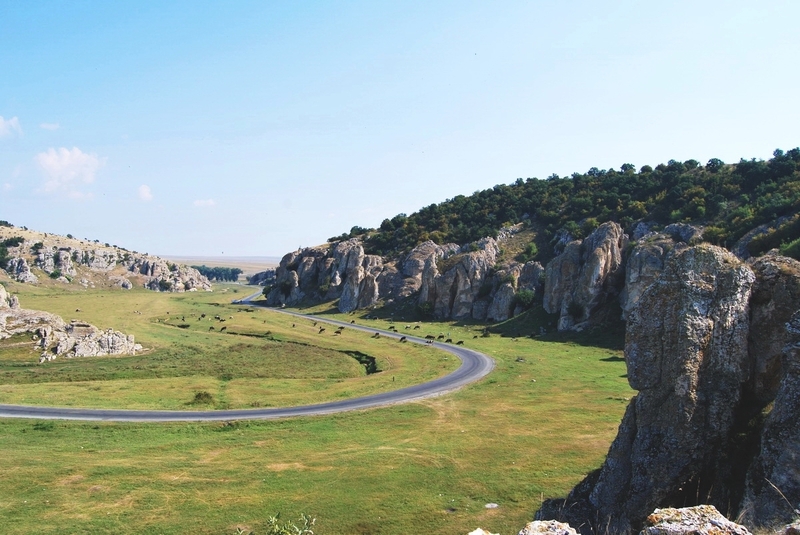 In the hilly regions, the promotion of the Romanian heritage has compensated for the lack of elevation, cultural heritage (monasteries and fortresses) and natural (Danube Delta, Siret valley, gorges, vineyards). On the Transylvanian Plateau, besides the cobbled streets in the historic centre of Sighişoara and the Nicula monastery in Gherla, a few climbs used in the Tour of Sibiu (Dealul Dăii, Pelişor and Ruşi) have been selected, as well as the Cheile (gorges) Babei towards Coroieni. The Subcarpathians are represented by a fortress above Târgu Neamț, three monasteries (Ciolanu, Dealu and Probota at the foot of Tătăruși), a road from the Danube (Ghelmegioaia), Tohani vineyards (in Jugureni) or a climb of the very first Tour of Romania in 1935 (Petricica on the outskirts of Bacău). In the north-east, on the Moldavian Plateau, two climbs lie near to the Siret valley (Gorovei with its monastery and Petreşti-Găiceana), Strunga is a « King of the Mountain » in the Tour of Romania and Dealul Mare is above a vineyard (Odobești). Finally, close to the Danube Delta and the Black Sea, Niculiţel has a beautiful elevation (300m) and a vineyard. Cheile Dobrogei gorges are worth seeing thanks to their natural beauty and Şipotele shows an amazing 10%, close to the Bulgarian border. 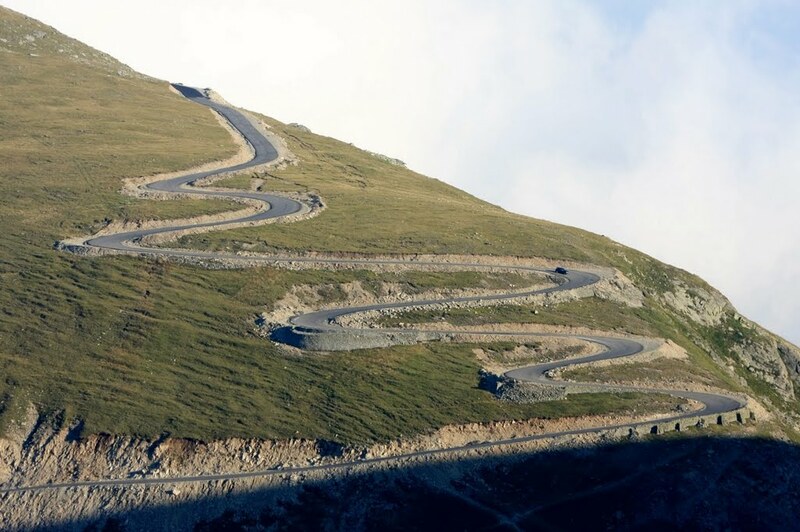 The obvious will of the Romanian authorities to develop the road network in order to increase the touristic supply allows to envisage increasing the number of paved climbs and, therefore, enriching the list.